Some really cool new artwork has been released by Marvel for the upcoming film Doctor Strange, starring Benedict Cumberbatch. The artwork will be distributed to Comic-Con attendees and it features Benedict Cumberbatch as Doctor Strange, doing his magic thing. 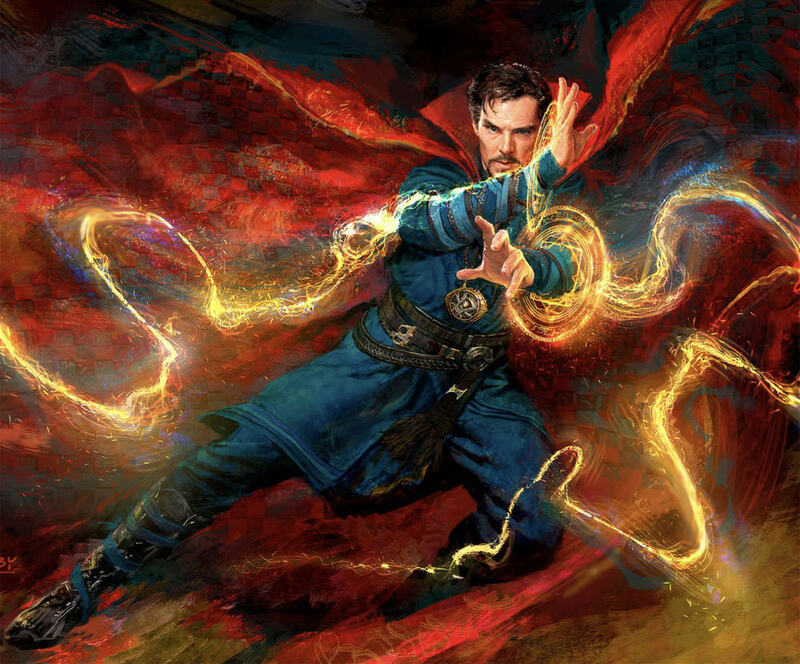 For those unaware, Doctor Strange is a new character addition to the Marvel Cinematic Universe, and it’s good to see as the Marvel films have started feeling a bit stale as of late. The film also stars Tilda Swinton, Rachel McAdams, Chiwetel Ejiofor and Mads Mikkelsen. It’s an awesome cast and the trailer looked intriguing, so the film is definitely one to look out for when it’s released 27 October in Australia (4 November in the USA, by way of IMDB). The film is directed by Scott Derrickson, whose mostly known for directing horror films such as Deliver Us from Evil and Sinister. Those films were decent but not great, so he’s an interesting choice to take on a big property such as this, but knowing Marvel, the studio will end up controlling most of the final outcome of the film, so does the director really matter so much these days with Marvel films? Check out the image below and if anyone hasn’t seen the trailer yet, it can be found below that.